Once upon a time cameraphones were a rarity and a camera wasn’t something people looked for in their phones. Fast forward to 2011 or so and pretty much every phone now comes with a camera. Naturally there’s been an evolution of camera technology, but the basic principle has remained the same. There’s always one lens with multiple elements that captures the image as a whole. However, there’s a new technology emerging that could completely change imaging, it’s called plenoptic imaging. Not only will it improve quality vastly and get rid of problems such as noise, but will also allow users unprecedented changes after the photo has been taken! Read on for more about plenoptic lenses, how they work and their future. What are plenoptic lenses and how do they work? So what exactly are plenoptic lenses? In the simplest terms, they are an array of multiple “sub lenses”. While traditional lenses consist of mechanical parts that work together to capture one image at a single focus, plenoptic lenses work on multiples. Instead of each sub lens capturing the exact same image, they capture different focal planes and only one of the three primary colors, red, green or blue. This means that each sub lens captures a single color version of different focal length than the other sub lenses, which is then combined with all other lens captures to form one single image. The advantages from such a setup are numerous. Since each sub lens captures different colors, there is no cross talk or interference in the final image. It’s effectively capturing different “versions” of each image, so you have the most true to life interpretation of it. Now the clever part is that since all these lenses are placed apart but capture whatever they’re pointed at, they even capture 3D depth. After all of this has been done, it’s the software and algorithms that combine it into one image. Size wise it’s slightly larger than a regular JPEG file, but contains far more information and far less noise. Now the trade off is that all this magic requires quite a bit of processing power, which is why two big companies are investing in its future for smartphones. Enter Nokia and Qualcomm, who are backing up Pelican Imaging, a plenoptic lens manufacturer in a big way. Nokia is known to be the king of smartphone imaging, and with the Pelican tie up, even better things could happen. There are rumors that we could see a Pelican Imaging powered Lumia by mid 2014 or earlier. Coupled with PureView’s optical image stabilization and algorithms, it could mean absolutely stunning photos that surpass even the Nokia 808 PureView. Qualcomm’s powerful mobile SoC’s are being used to make plenoptic lens imaging possible in smaller form factors, and there are already reference tablets using Pelican lenses. Not only will picture quality be greater, but it will allow for a staggering amount of post capture tweaking. Since different focal planes are captured, even after the picture is taken you can adjust what part of the photo has to be focused. You can also remove elements from the photo, without disturbing the rest of it. Plus, this arrangement of multiple sub lenses also helps greatly with low light imaging. The best part is, even though it’s so much more advanced, the actual imaging unit is about half the size of a regular lens and the cost isn’t too high either. This is of course, is with reference to a prospective smartphone size unit by Pelican that has 16 sub lenses. 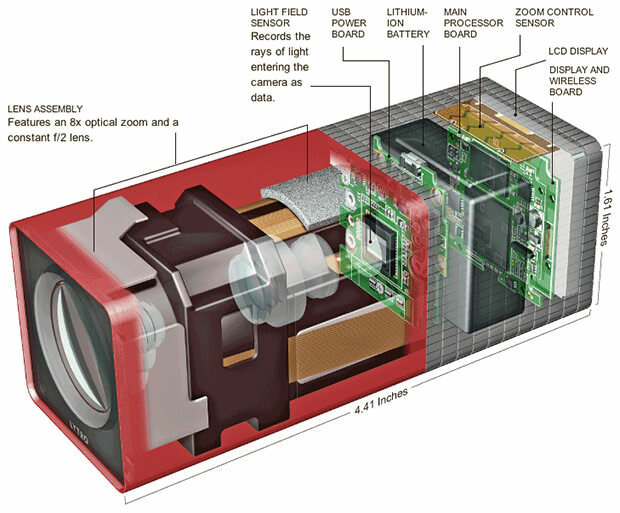 There is already a commercial plenoptic lens camera called Lytro that does all of these things, and costs 399$. 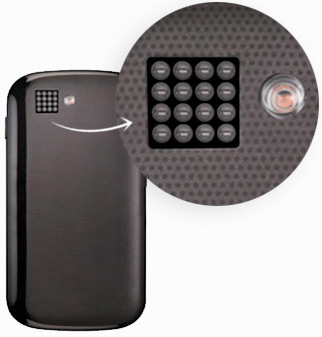 It might take a while before plenoptic lens cameras are seen on smartphones, but when they do arrive, it will usher in a new area of cameraphones. With two tech giants backing up this technology, the future of Pelican Imaging and plenoptic lenses does seem quite bright. So what do you think of this new type of imaging? Drop us a comment with your views below! Nintendo Wii U release date and price announced!